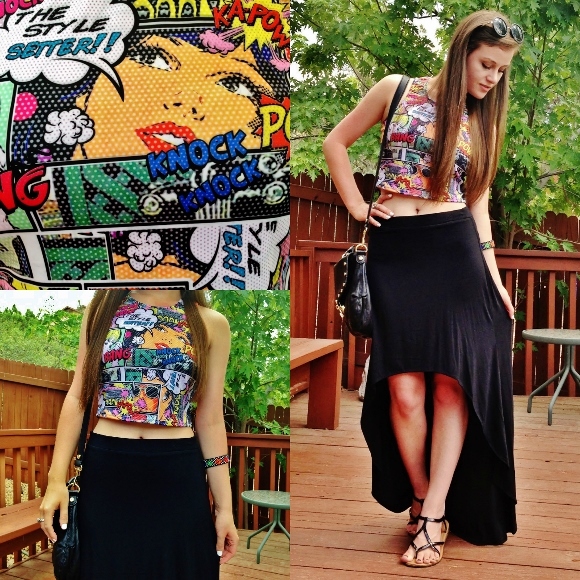 Today's Look: is all about the comic book crop top and high-low skirt. 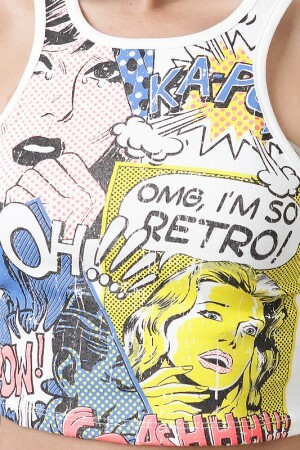 To start the outfit off, I chose to wear the vibrant, intricate comic book top. 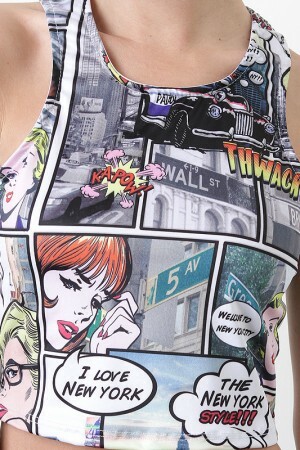 The comic printed tops are a new trend. 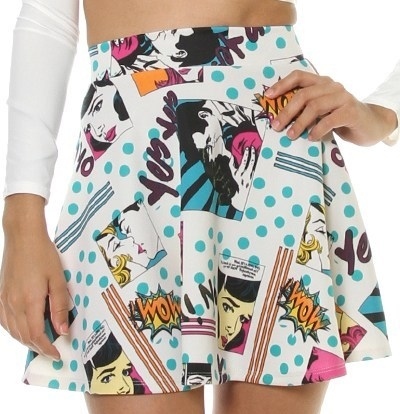 Matching the short cut of the top, I wore the high-low skirt high on my hips, to make the outfit less revealing. 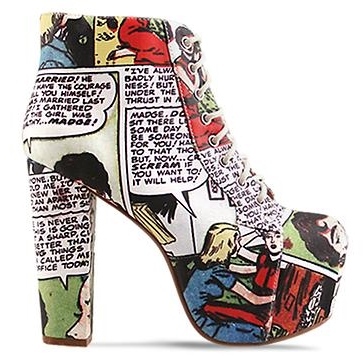 Finishing off the look, I wore black sandals, a black purse, a colorful bracelet, red stud earrings, and black round sunglasses. Outfit Details: Top by Cemi Ceri at urbanog.com, Skirt by Express at Express (Scottsdale, Arizona), Purse by Betsey Johnson at betseyjohnson.com, Sandals by Montego Bay Club at Payless (Prescott, Arizona), Bracelet at Forever 21 (Scottsdale, Arizona), Sunglasses at urbanog.com. 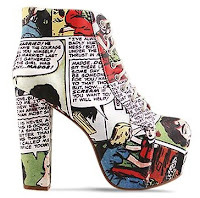 Fashion Tip: Comic book printed items are the latest trend. Find comic book items by clicking on the link: Comic Book Clothing to see some more examples or to shop. 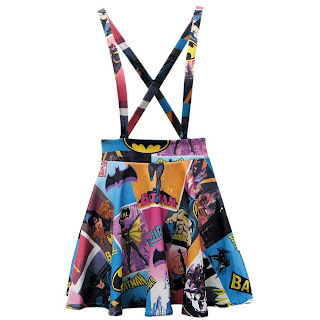 Also, I included some fun comic clothing examples below.